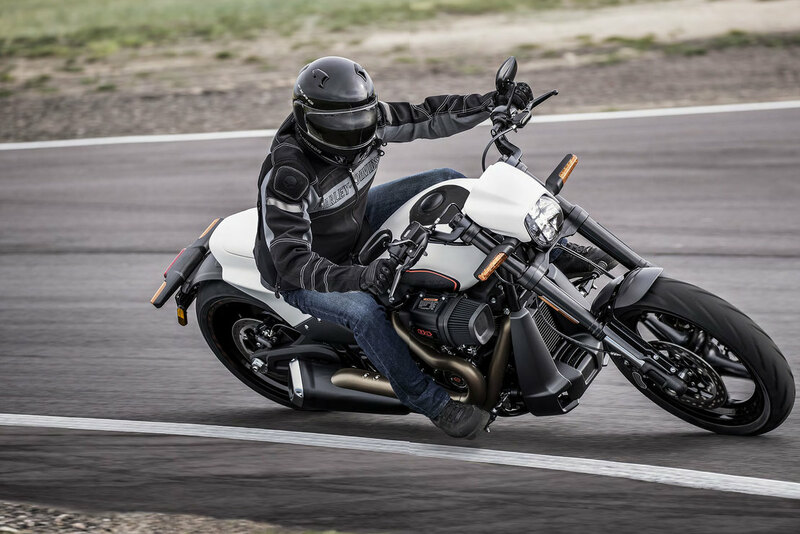 The new Harley-Davidson® FXDR™ 114 combines the muscle of a drag racer with the agility of a fighter jet. This unapologetic power cruiser fuses the potent power of the Milwaukee-Eight® 114 engine with the liberal use of new weight-saving aluminium and composite components to amplify every aspect of performance. An advantageous power-to-weight ratio is a sure path to performance, and as they developed the FXDR 114 Harley-Davidson engineers shaved ounces and pounds at every opportunity. A new aluminium swingarm achieves a 10.2-pound (43 per cent) weight reduction over a steel Softail swingarm accommodating a 240mm rear tyre. 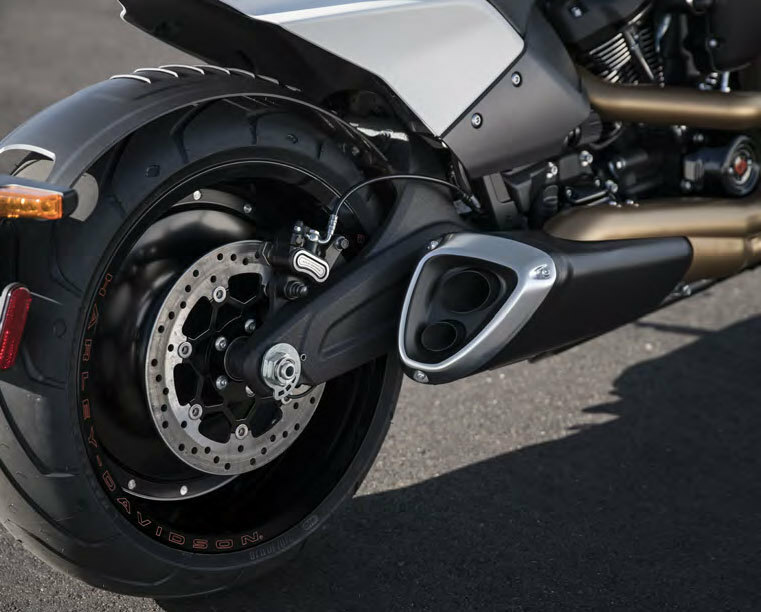 Because the swingarm is unsprung weight (weight located below the suspension) it has a significant impact on rear suspension performance, enhanced further by a lightweight 18-inch-diameter aluminium disc rear wheel. The 19-inch forged-aluminium Ace front wheel is a lightweight design that features very thin spokes. The FXDR 114 seat and tail section are supported by a sub-frame of welded aluminium tubing, and the tail section is composite. 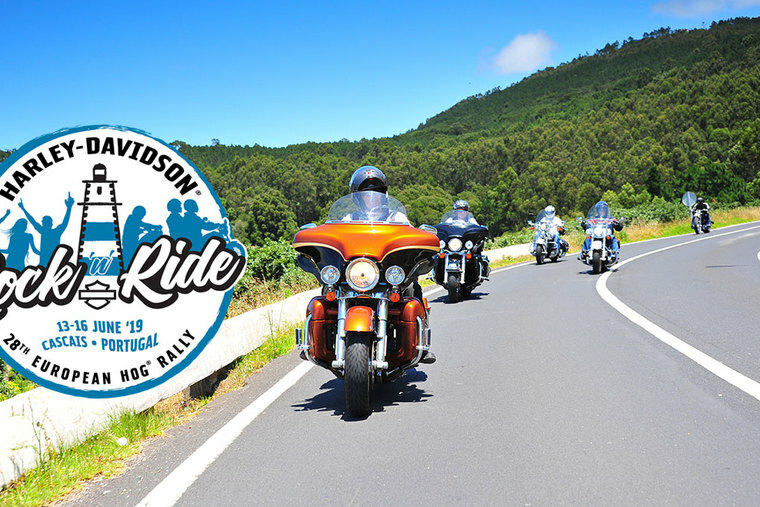 This assembly replaces the steel subframe, steel rear fender and aluminium fender supports used on other Softail models, for a combined weight saving of about seven pounds. 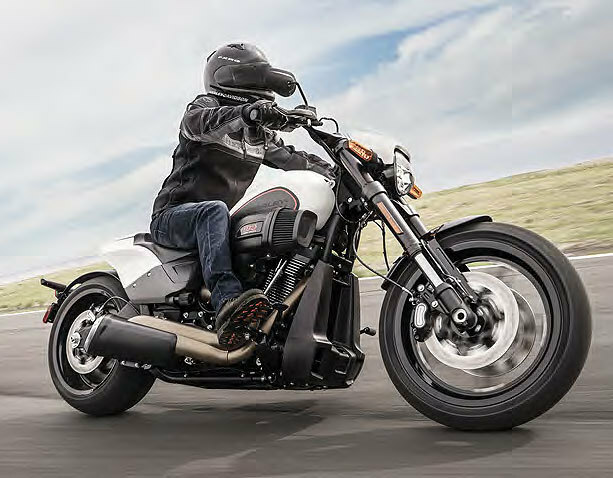 The rigid Softail chassis rewards assertive riders with thrilling agility through twisting backroads and congested urban traffic. Secured by the deep solo seat, the rider grips aluminium clip-on handlebars in an athletic position over the tank. 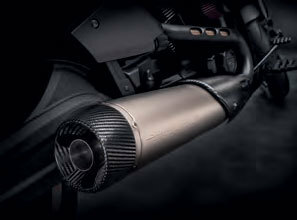 The FXDR 114 features the Softail monoshock rear suspension equipped with an external hydraulic pre-load adjustment knob to allow the rider to quickly and easily dial in optimal suspension performance for the prevailing load conditions. Inverted 43mm forks stiffen the front end for improved response to steering input. The FXDR 114 offers more lean angle than any other Softail model – 32.6 degrees to the left and 32.8 degrees to the right. The FXDR 114 is equipped with the most powerful engine offered in the Softail chassis, a Milwaukee-Eight 114 V-Twin tuned to pound out 160Nm of torque at 3,500rpm. The forward-facing air intake is shaped to enhance the airflow into the engine. The exposed air filter utilises a new synthetic media that does not require oiling. 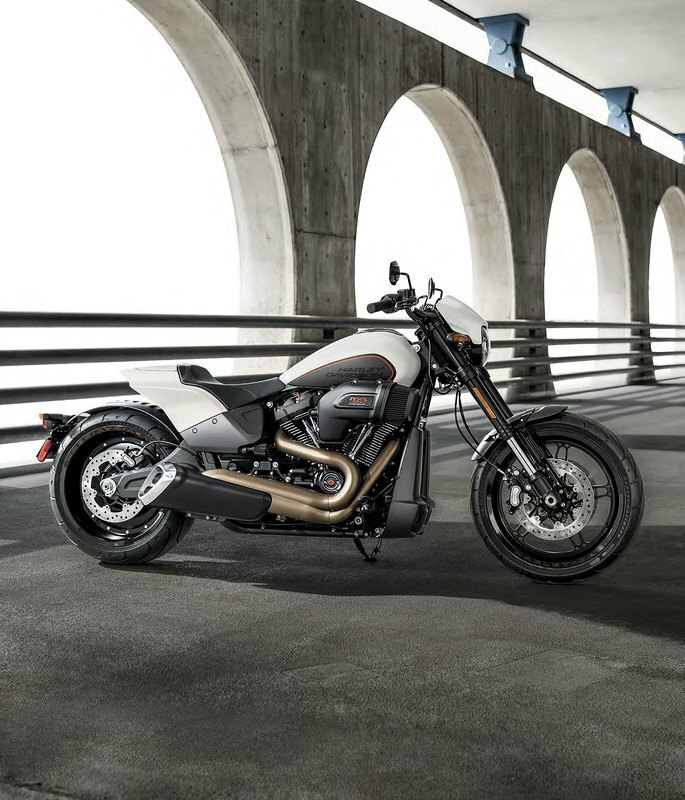 The FXDR communicates its commitment to all-out performance with visual design cues inspired by the drag strip. 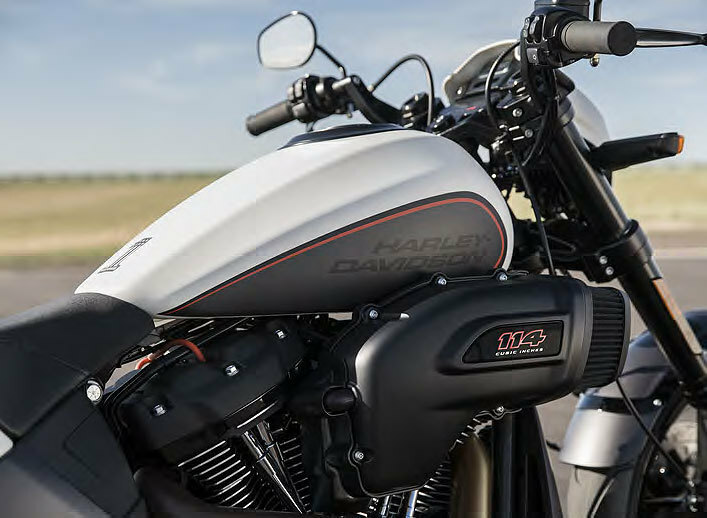 A speed screen frames the LED headlamp and helps break the wind, while a stretched 16.7-litre fuel tank exclusive to the FXDR 114 model lengthens the profile of the motorcycle. 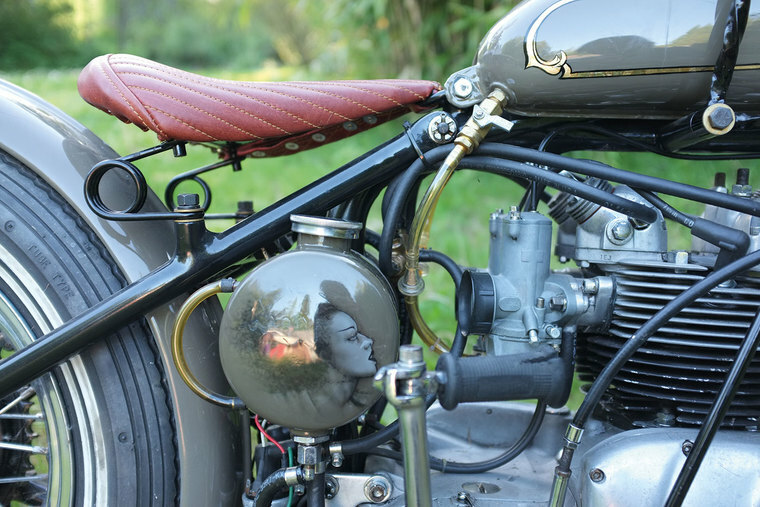 A race-inspired chin fairing conceals much of the oil cooler. The tail section is clipped short in drag bike style to expose the 240mm rear tyre. A moulded composite rear fender is shaped to hug the tyre and moves with it through the range of suspension travel, becoming nearly invisible when the FXDR 114 is in motion. 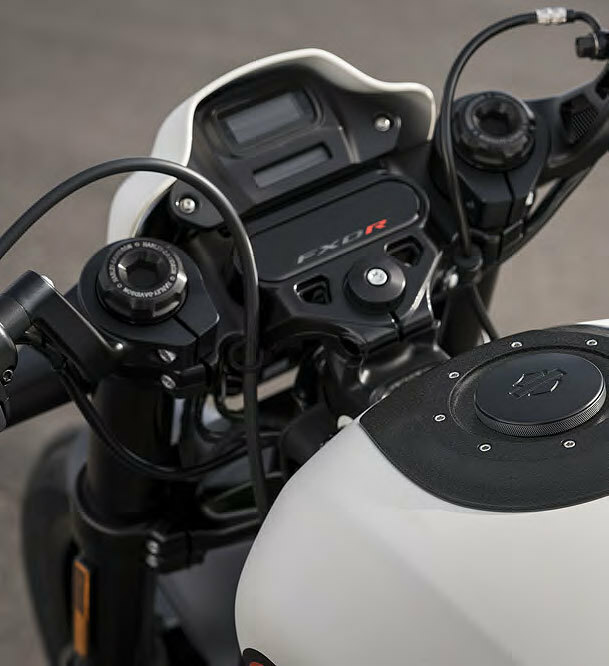 The rear lighting module and licence plate fixture is secured to an aluminium spar mounted to the left side of the swingarm, leaving the right side of the rear wheel dramatically exposed. The FXDR 114 is available in six colour choices: Vivid Black, Black Denim, Industrial Gray Denim, Wicked Red Denim, Bonneville Salt Denim and Rawhide Denim.